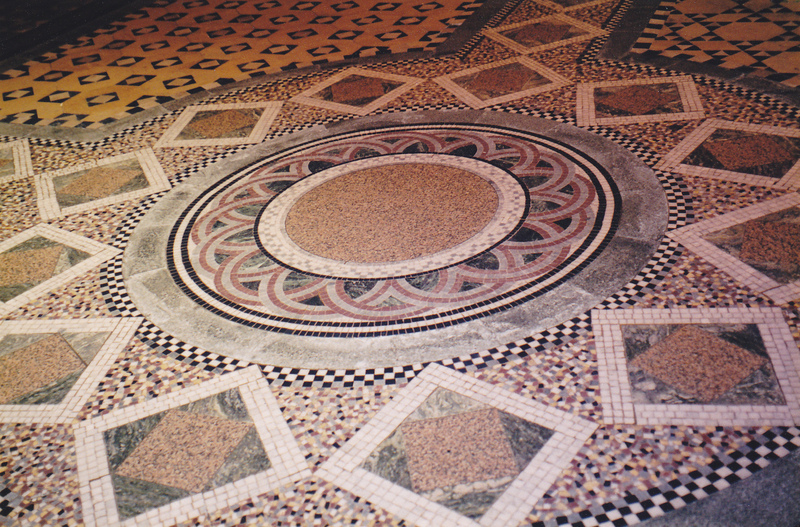 Mosaic is the art of creating images with an assemblage of small pieces of coloured glass, stone, or other materials. Small pieces, normally roughly quadratic, of stone or glass of different colors, known as tesserae, (diminutive tessellae), are used to create a pattern or picture. The L-shaped arcade opens opposite the Royal Arcade in Melbourne. In its heyday, it was well known as a hangout for young larrikin gangs called the “barcade boys,” who dealt drugs all day and hired prostitutes at night. The arcade was erected between 1891-93 and designed by architect David C. Askew whose brief was to produce something similar to the Galleria Vittorio Emanuele in Milan. The result was one of Melbourne’s most richly decorated interior spaces, replete with mosaic tiled flooring, glass canopy, wrought iron and carved stone finishings. The exterior facade is one of Australia’s best surviving examples of the Victorian Mannerist style. 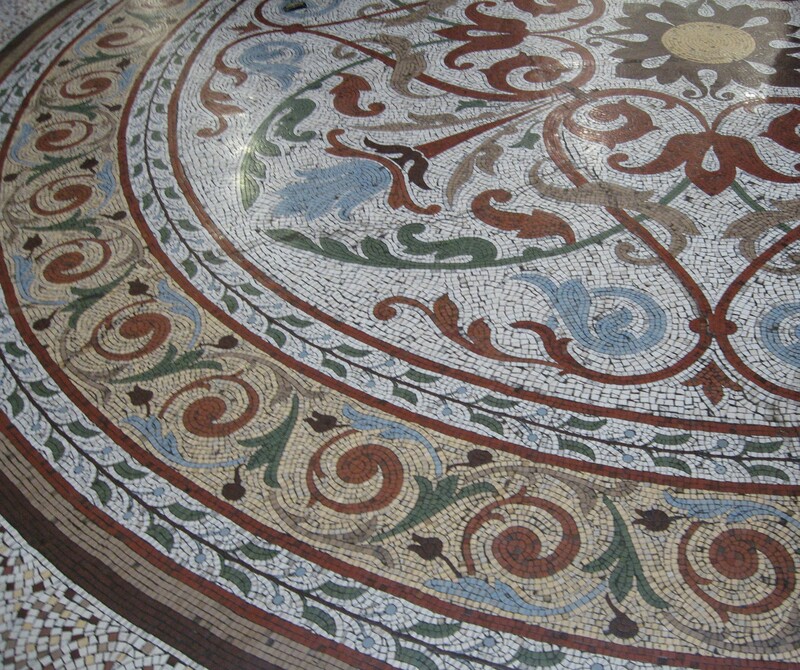 For an example of Victorian floor mosaic, see my Barcade Boys example of floor mosaic tiles. This is from the floor of Chester Cathedral. The Cathedral was formerly known as St. Werburgh’s Abbey Church of a Benedictine monastery and was dedicated to Christ and the Blessed Virgin Mary. Other tiles such as those from the Chester Cathedral can be found in this post. There are many other forms of mosaic art and tiled art pieces. 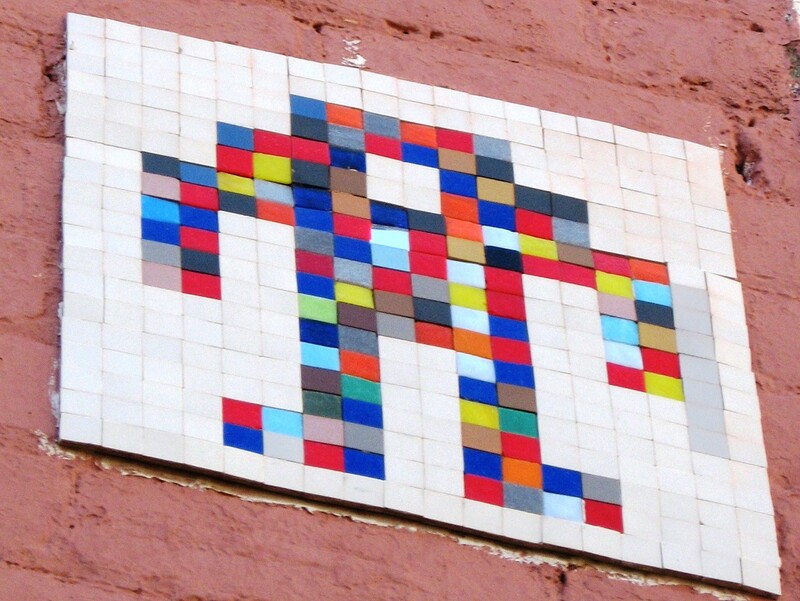 The Street Artist known as Invader leaves tiled art pieces around the globe in various places for people to discover. Here is my post. Cloisonné is an ancient technique for decorating metalwork objects, using vitreous enamel, or in earlier times, inlays of cut gemstones, glass, and other materials. The technique involves the soldering or adhering of silver or gold wires or thin strips placed on their edges of the surface. These remain visible in the finished piece, separating the different compartments of the enamel or inlays, which often consist of several colours. Cloisonné enamel objects are worked on with enamel powder made into a paste, which then needs to be fired in a kiln. 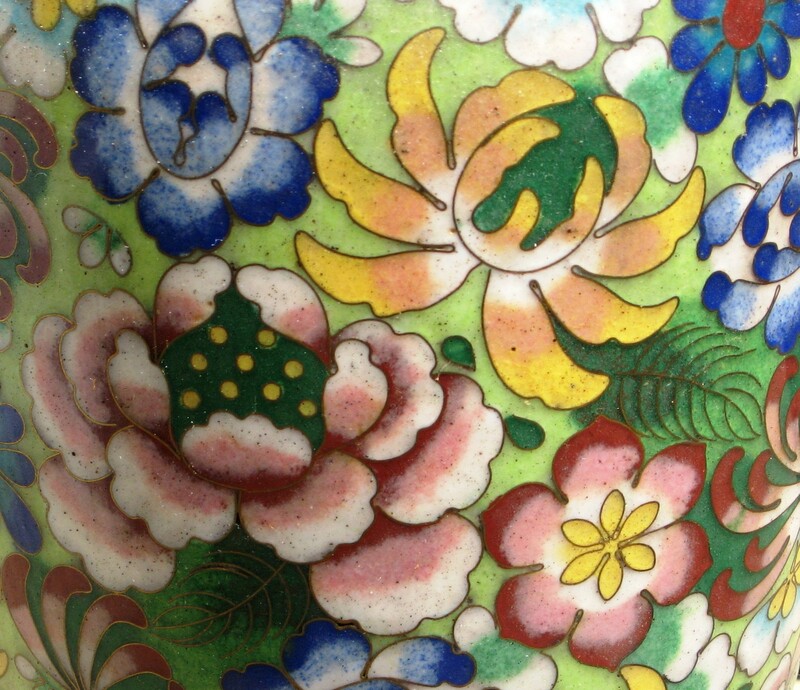 Chinese cloisonné is sometimes confused with Canton enamel, a similar type of enamel work that is painted on freehand and does not utilize partitions to hold the colours separate.